Steven (Chicagoland, United States) on 13 October 2014 in Landscape & Rural and Portfolio. Photo captured at the Van Patten Woods Forest Preserve on October 6, 2012. How clean and well-maintained it all looks : like a living model ! Excellent !! Is an authentic autumn photo ! The road gives a wonderful sense of the journey as well as seasons change. excellent compo! the winding road, the colour scheme with the autumn leaves and the blue sky ... all very attractive ! What a lovely photo of fall. Great tree colors, and greenery. Gorgeous colours starting to come through. Beautifully composed. The curve is placed ideally to lead the eye to the colorful foliage. such beautiful composition, perspective, clouds, colors & lighting! That is gorgeous. The curve of the road leads the eye right into the spectacular colour. A beautiful image! 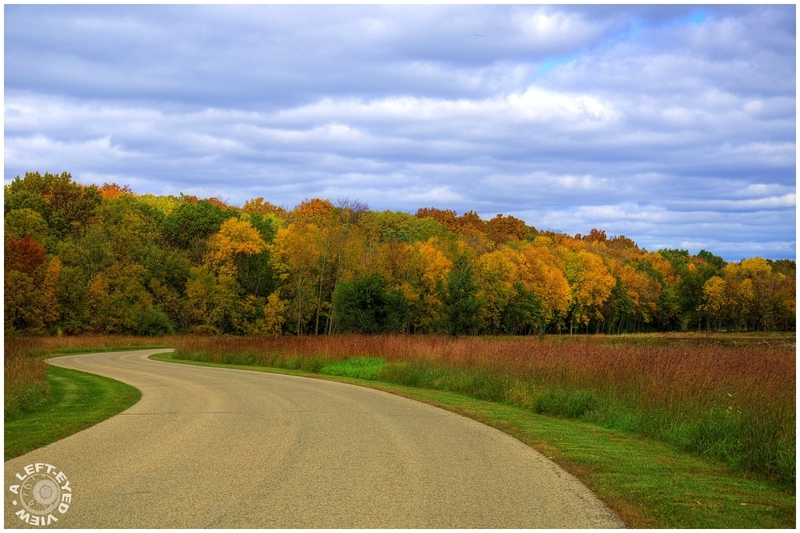 I love the curve in the road and the gorgeous autumn color. This is just fantastic! love the sweep of that curve.